G Suite is the popular suite of productivity software offered by Google. Comprising its popular tools like Gmail, Calendar, Drive, etc, it offers users great collaboration features over the cloud. Sometimes though, collaboration tools aren’t enough. Organizations would require custom software or apps that solve specific business problems. 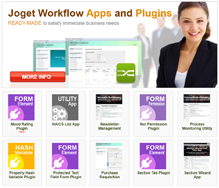 That’s where Joget Workflow for Google Apps fits in. To sign up for a free trial, just visit the Joget Workflow for Google Apps page in the G Suite Marketplace using your G Suite account, and click on the INSTALL APP (+) button. 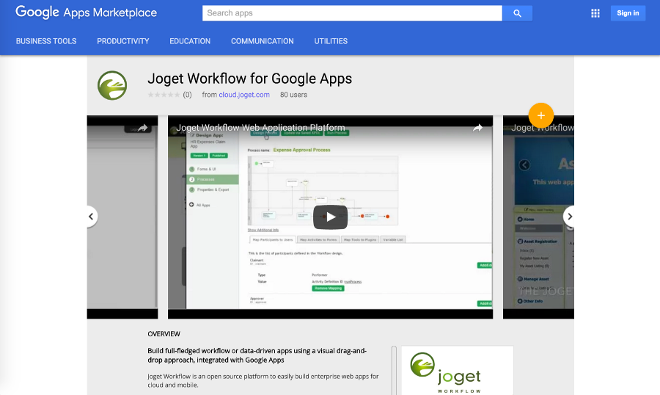 More information on Joget Workflow for Google Apps is available at Joget Workflow for Google Apps page in the Knowledge Base and Joget Workflow On-Demand.